Lakes are lots of fun and provide a variety of small fish. Some kids had fun at Grizzly Lake near Houston- catching 24 rainbow in one day! Round Lake had a surface temperature of 23 degrees and fishing was tough. Some good reports from Babine Lake though; lots of char caught! Meziadin Lake Sockeye is open but so far has been slow. 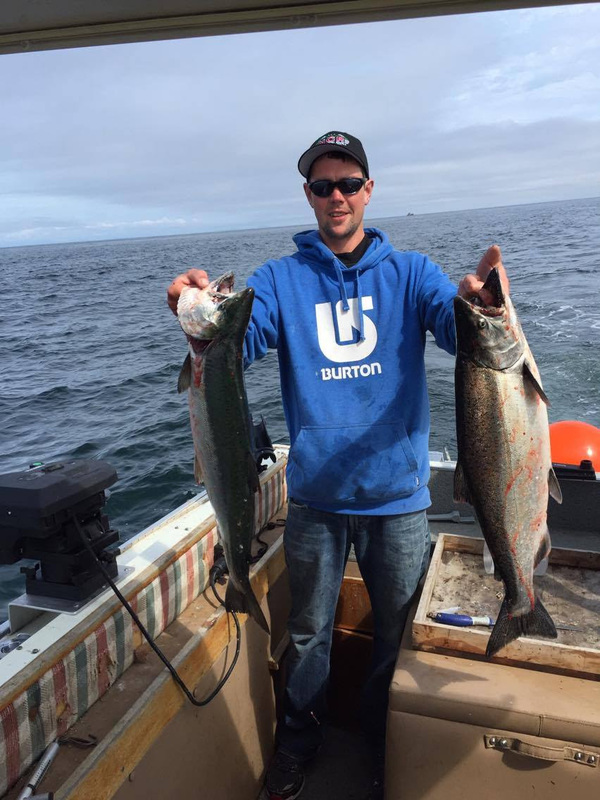 Great reports of Coho being caught, still some Chinook as well. Bottom fishing has been decent. Rainbow fishing still doing well using mayfly patterns. Babine River opens August 1 for Sockeye. Bulkley River is still very dirty with the silt coming from the Little Bulkley. Telkwa is also blown out. The Morice is clean and clear and good for fishing. Some Springs being caught but not a lot. River is in nice shape and some Springs are still being caught. No retention of Springs after July 31 on the Kispiox so now is the time to get out there! Skeena is dirty but fishable and cleaning up. Some Sockeye are being caught in the Hazelton area and West of that as well. Hopefully there is a fresh bunch of Chinooks coming in with the higher water. A good number of Steelhead also showing up already, so get out and fish! Babine Lake near Red Bluff has been good for Rainbow fishing. People are using Trout Killers and blue- Blue Foxspinners with a couple of split shots as weight. Fishing has been great for most! 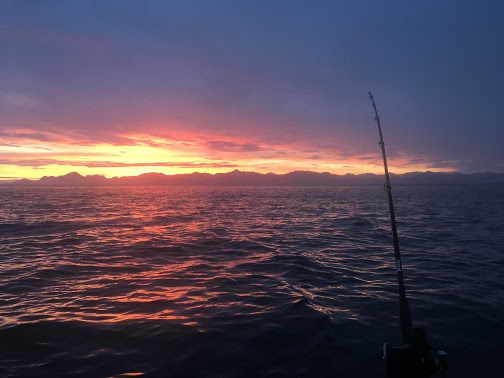 Halibut has been excellent and the salmon have been plentiful. 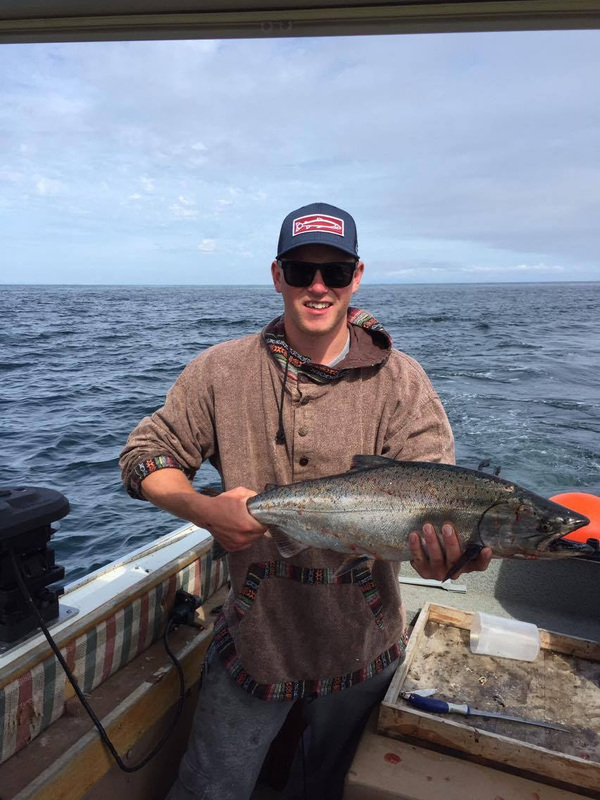 Lots of different species out there right now- Chinook, Chum, Sockeye, Coho, and Pinks. Lots of rain=blown-out. Water came up 1.3' today and is chocolate brown. Chinook fishing before this has been pretty slow, hopefully this bump in water will change that! Morice has come up 1' - 1.5' and is muddy as well. Water is cloudy but not high. Water came up 1/2 foot yesterday but is already dropping and looks good....so far. Chinook are in the river and fishing has been okay but not great. 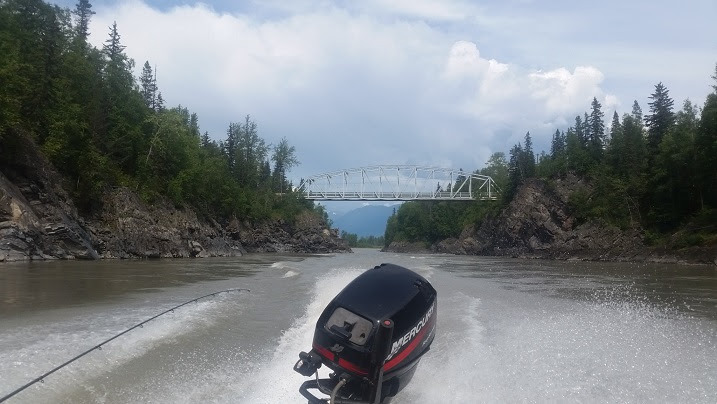 Skeena has come up 1.5' and is a bit cloudy but still totally fishable. Chinook still being caught throughout but it has been 'spotty'. Sockeye starting to come through as well. Rainbow Alley fishing has dropped off with the cooler weather/rain, but with a couple warm days would come new stonefly hatches and therefore better fishing. The lakes were producing this past weekend and many people were out (most in the rain!). Some nice Char and Rainbows were caught in the various lakes. Douglas Channel-- Ocean fishing has been good. Bit of everything being caught and most people doing quite well. Rupert--- Some excellent fishing to be had! 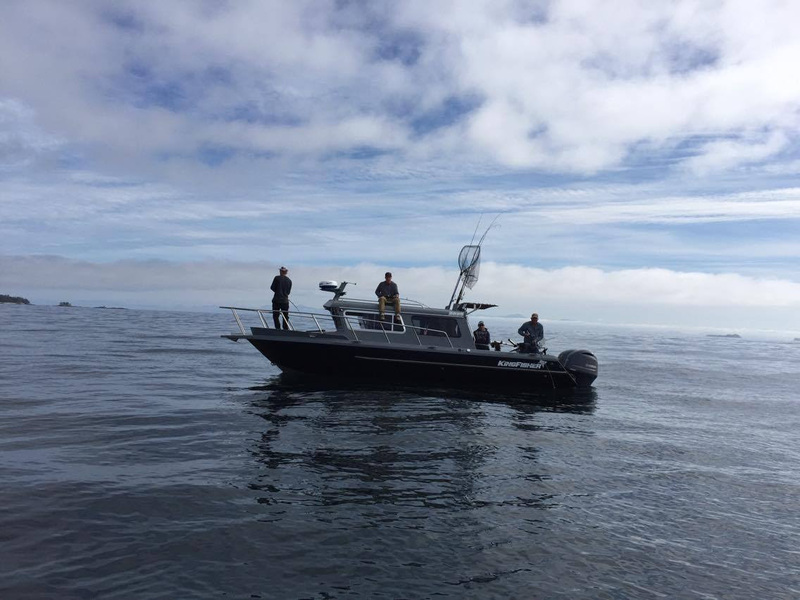 Chinook, Halibut, Cod, Coho, Pinks, Sockeye... you name it, its out there. Most boats are doing well. Bulkley is coloured but fishable and getting better. Lower Bulkley was blown out but is also cleaning up quickly. Its great to get the much needed water in the system! Some Chinook being caught but not tons. Water level and colour is excellent. Chinook are being caught. 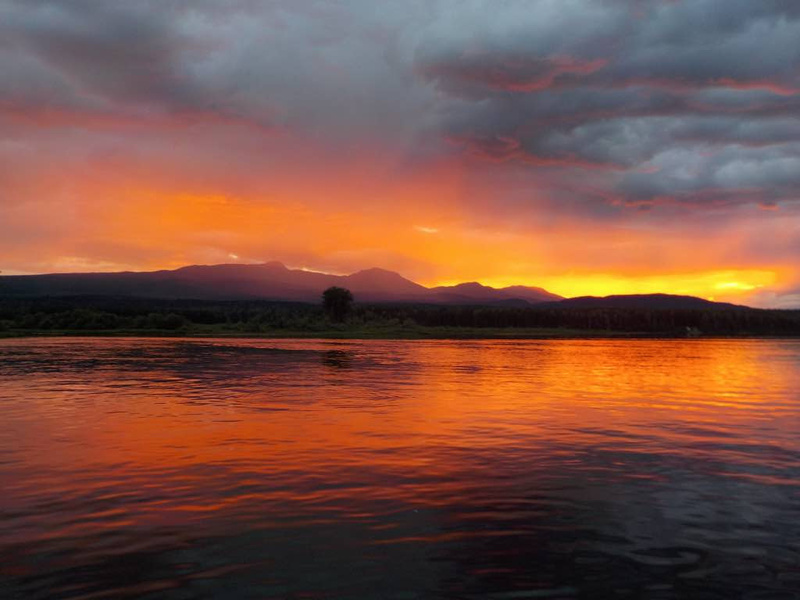 Chum fishing has been excellent, Chinook has been decent, and Pinks are in the river too! Rain brought up the river on the weekend (1.35m) but has now dropped significantly to .90m below Hirsh Creek. Rain hit the system and muddied the waters heavily on Tuesday, but the river has cleared up a lot and is fishable and getting better. Fishing before the extra water was slow, so hopefully the cooler weather and increase of water will change that! 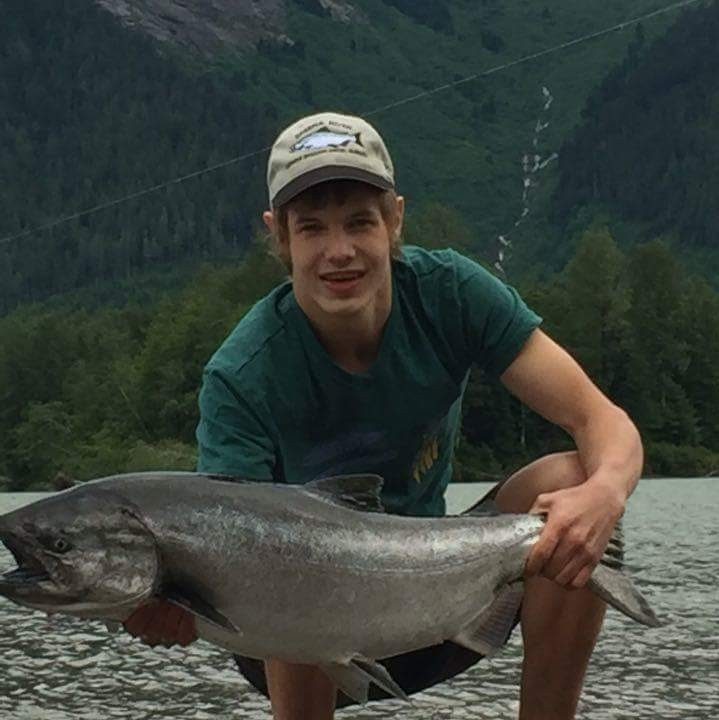 A beauty 59lb Chinook was caught this past weekend on the lower Skeena, and some Sockeye are also starting to be caught. Rainbow fishing has been good in Rainbow Alley. There have been 2 dry fly patterns that have been hot and we stock both! 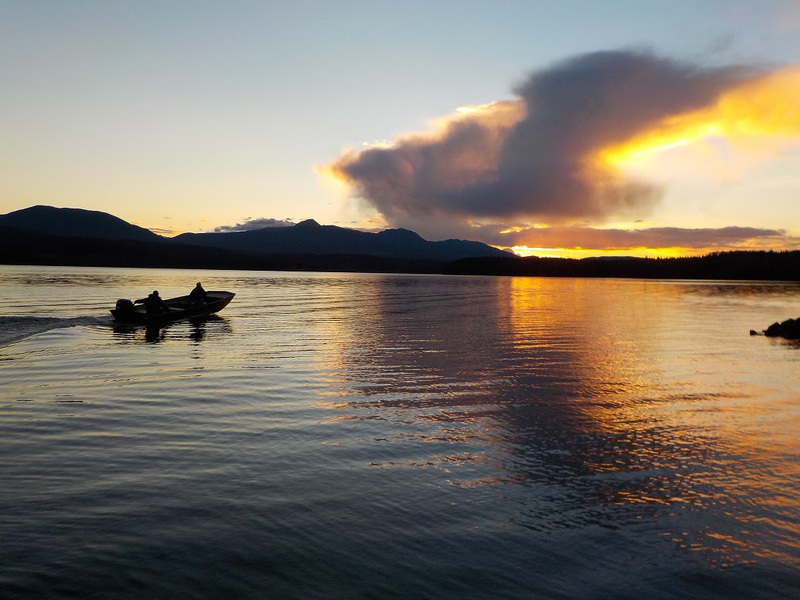 Char fishing has been productive in Babine Lake and this weekend is a great one to take the family out lake fishing! If you want a world-class trout stream experience, take the 2 hour trip to the Stellako River. Load up on small dry flies and have a wonderful experience! 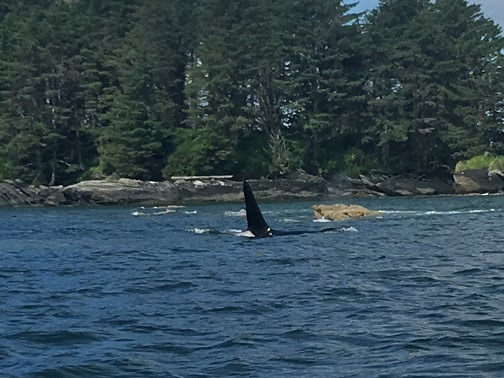 Douglas Channel-- Ocean fishing has been a bit spotty, but mostly on the good side. Some beauty Chinook still being caught. 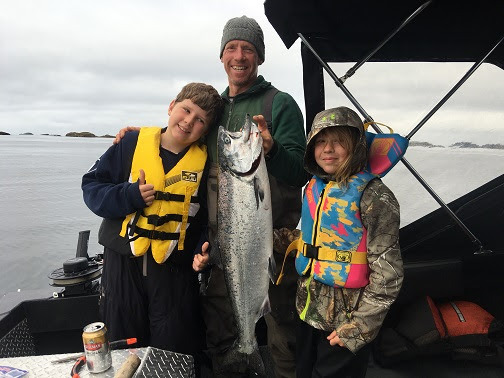 Halibut and bottom-fishing has been good and Coho are just starting. 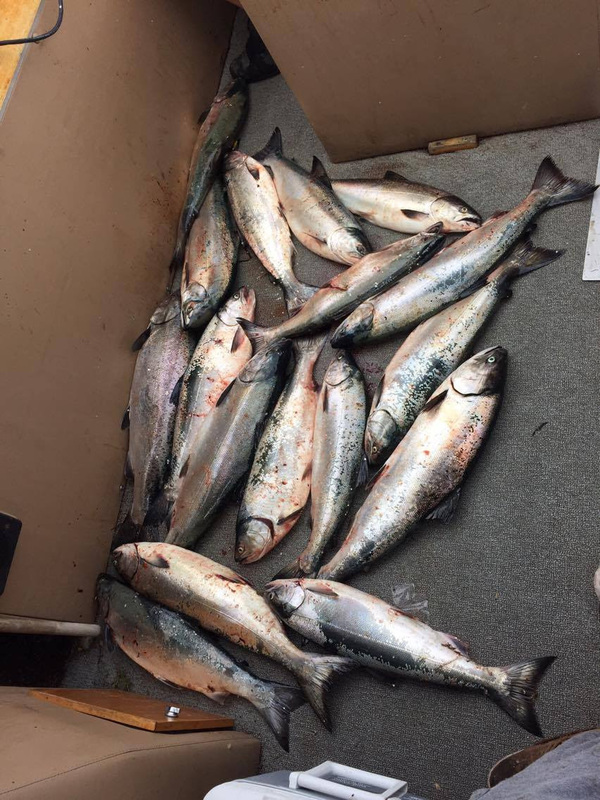 Rupert--- Chinook are still being caught and Coho are just starting up around Dundas Island. The odd Sockeye also being caught. 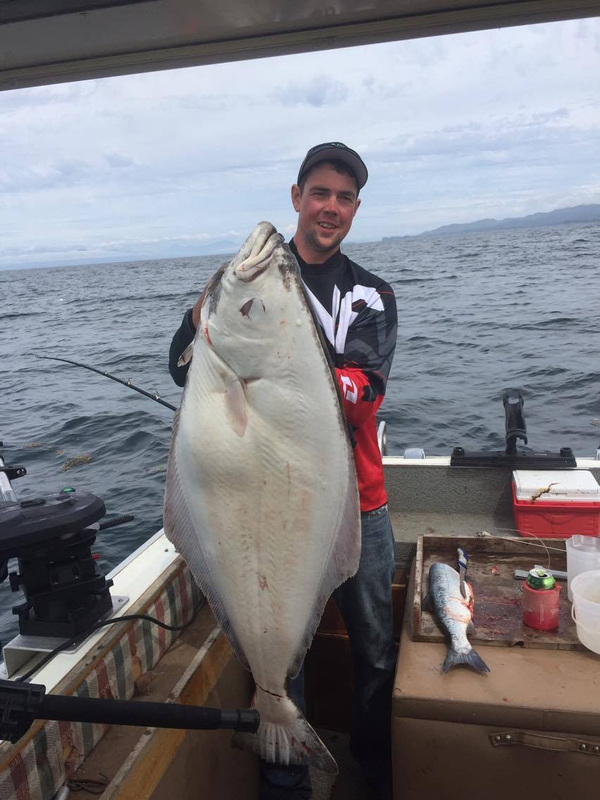 Reports of some huge halibut being caught too! Mostly fly fishing for rainbow right now. Water is very low. Stone flies are hatching and the trout are feeding on them. 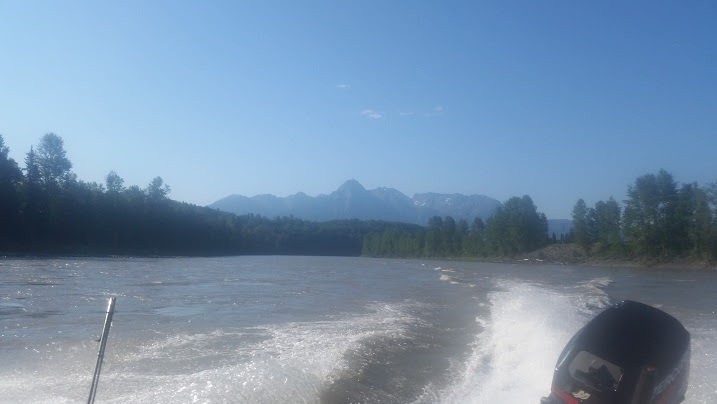 Bulkley and Morice rivers are both in excellent shape; low and clear. Fish are seen rolling but not much has been caught. Water is low and clear. Chinook are in the river and being caught throughout, but mostly in the higher regions. Water is very low and clear. Weather has been hot and the best fishing has been deep pools during the morning or afternoon high-tide. Some beauty Chinook being caught but with the low water it has been tougher. Chums and Pinks in the river too! Water is low and clear. Weather has been very hot and fishing has been most productive in the cooler parts of the days. As of last Friday Chinook fishing has slowed down a bit. Canada Day is this coming Friday and there is sure to be a lot of anglers out there! Remember that the whole Skeena is Classified, and the Skeena 4 (above the Copper River) is also Steelhead Stamp mandatory. Water is low and clear. Weather has been very hot and fishing has been most productive in the cooler parts of the days. As of last Friday Chinook fishing has slowed down a bit. Canada Day is this coming Friday and there is sure to be a lot of anglers out there! Remember that Skeena 1 (from the ocean to the Exchamsiks) and Skeena 3 (Terrace, Ferry Island) are never Classified, all other sections (2 & 4) require a classified water licence. 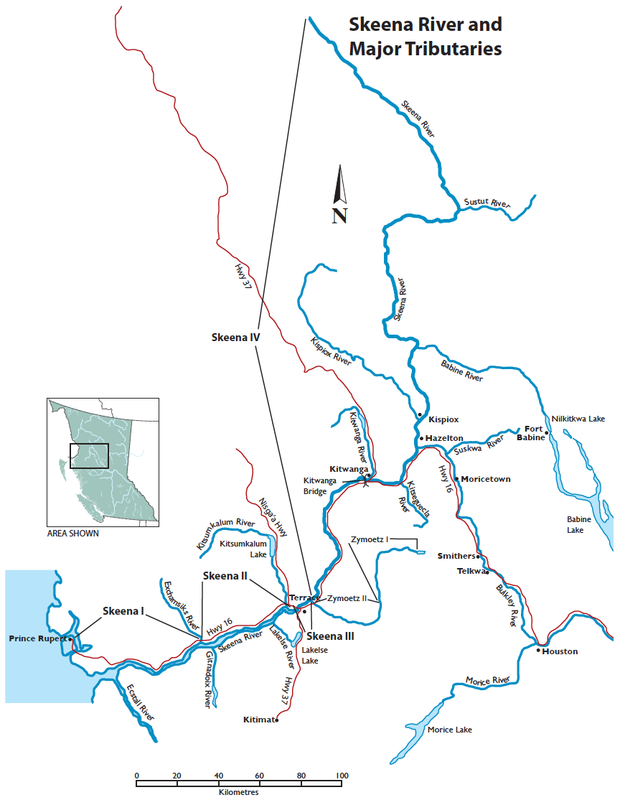 Below is a map of Skeena with the different classified and non-classified sections. Copyright © 2016 Oscars Source for Adventure, All rights reserved.